Besides the madrasas, hospitals and social assistance institutions established in Anatolia during the Anatolian Seljuk period and that of their successors the Municipalities, scholarly-scientific and cultural activities were encouraged and received the patronage of the rulers. Figure 1. Gok Madrasa's gate, Sivas, Turkey (from Miniaturk, Istanbul). This article is extracted from Ekmeleddin Ihsanoglu's* long article entitled "Ottoman Educational and Scholarly-Scientific Institutions" published in History of The Ottoman State, Society and Civilisation, ed. by E. Ihsanoglu, Istanbul 2002, pp. 361-512. The migration toward the west from the Transoxian and Khorasan regions of the Oguz Turks following the lead of the Seljuk's, and their settlement in Anatolia are among the major events of the eleventh century. The Oguz migrations led to the establishment of a new Turkish homeland in Anatolia and a clear spreading out of the territorial basis of the Islamic world. The result of these migrations, which moved quickly from east to west altering the character of Anatolia in accord with Turkish traditions and the hegemony that the Turks were able to establish over those lands and their settlement there, was that from the twelfth century onward Anatolia came to be referred to by the Europeans as Turkey. This historical process that began in the eleventh century was also to continue after the Seljuk period. Building on the foundations laid by the Seljuk's, the process led to the emergence of the Ottoman Empire, one of greatest empires ever to exist in history both with respect to its longevity and its spatial dimensions. There are a small number of studies of cultural and scholarly-scientific life during the Seljuk period. Further, there are some who have mistakenly and unfairly characterized this period as one of stagnation and decline in the areas of science, literature, the arts and philosophy in the Islamic world. This mistaken view of the periods during which the Seljuk's and, in a more general sense, the Turks were the dominant people in the Islamic world has no foundation whatsoever in any serious or comprehensive research or studies. However, this prejudicial view has persisted as a generally accepted conviction for later periods in Islamic history and especially for the Ottoman period. There is little doubt that during this period there were indeed certain areas of decline in Islamic thought and intellectual life. However, it is important not to ignore the new situation that emerged in Islamic society following the changes in intellectual, social and economic conditions in this area as well as the impact of factors originating outside of the Islamic world. Without thoroughly analysing these factors, without, in addition, engaging in thorough-going research on this and later periods, it would not be appropriate to put forth condemnatory propositions about them and, in the face of the image of the previous period as a "Golden Age" to make generalizations characterizing these periods which were to continue until quite recent times as times of decline, collapse or as "dark ages." The works of some of the best minds in Islamic culture and science as well as numerous examples of the artistic and cultural monuments constructed during the periods when the Turks and Seljuk's were dominant have been preserved in all their fame to this day. Two of the most important scholarly-scientific institutions in the Islamic world, the madrasa and the hospital (Dar al-shifa), became widespread during the Seljuk period. In some major cities such as Baghdad, Merv, Isfahan, Nishapur, Mosul, Damascus, Cairo, Aleppo, Amid (Diyarbakir), Konya, Kayseri and Malatya during the period of the Seljuk's and their various branches, numerous madrasas, hospitals and libraries were transformed into flourishing cultural centres. With the emergence of the Seljuk's, a form of architecture making use of durable stone structures came to be more widespread in the Islamic world. That is why more architectural works have survived to the present day from the Seljuk's and their branches than have from previous centuries. One of the signs that science and literature were not on the decline, but rather continued to flourish during the Seljuk period was the fact that numerous Islamic intellectuals were trained during that period. Among these were such important figures in Islamic science and culture, as el-Juvaynî, Ebû Ishak al-Shirâzî, Omer al-Hayyâm, al-Bedi' al-Usturlâbî, Ebu'l-Berekât Hîbetullah b. Malka el-Bagdâdî, Samav'el al-Magribî, Serefeddin al-Tûsî, Kamal al-din b. Yûnus, Shahâbeddin Yahyâ b. Habes al-Suhrawardî, Fahr al-din al-Râzî, Ibn al-Razzâz al-Jezerî, Ibn al-Esîr, Seyfeddin el-Âmidî. During this period an observatory was established in Isfahan by the Seljuk ruler Meliksah I (1072-1092). Omer el-Hayyâm and his colleagues made use of the observatory in preparing their Zîc-i Melikshâhî (Melikshâhî Book of Astronomical Tables) and Takvim-i Jalâlî (Jalalaean Calendar). It was also during this period that el-Bed' al-Usturlâbî wrote his al- Zîj al-Mahmûdî (The Mahmûdî Book of Astronomical Tables) and Ebû Mansur his el-Zîj al-Sencerî (The Senceri Book of Astronomical Tables). Figure 2. Ince Minara Madrasa's main gate. Konya, Turkey (from Miniaturk, Istanbul). Both the palaces of the Great Seljuk sultans in Baghdad, Isfahan and Merv and those of the Harezmsahs, the Anatolian Seljuk's, the Artukids, the Zangids and the Ayyubids were filled with scholars, scientists and literary men. These men wrote their works in either Arabic or Persian. Persian Islamic literature, which begins with the Samanids, became transformed into a world-class literature under the Turkish Gaznawids, Karahanids and Seljuk dynasties. Hâkanî, Senâyî, Nizâmî, Attâr, Mevlânâ Jalâladdin-i Rûmî and Sa'dî, who represented the best of this literature, lived and worked under the patronage of the Seljuk rulers and dedicated their works to them. As has been indicated briefly above, in lands under Seljuk rule or under the rule of the various Seljuk branches, the numbers of madrasas increased and literacy was on the rise. The proliferation of hospitals established under various names made possible the provision of medical services to segments of the population, which had not been able to benefit previously. As a result of the increased outreach of educational and health services, levels of well-being and public works rose and there was a corresponding increase in the levels of activity in the fields of literature, the arts and science. During the period of the Anatolian Seljuk's and the Municipalities, Turkish rulers and statesmen in Anatolia did what they could to support scholarship. Indeed, there were some among them who were personally engaged in scholarly-scientific pursuits. These institutions did not really have a chance to develop sufficiently during the end of the eleventh century and beginning of the twelfth century because this was the period of the conquest of Anatolia. By the second half of the twelfth century, during the reign of Sultan Kilic Arslan II, the institutions of state had become well established and scholarly-scientific institutions were beginning to become more prevalent. The largest number of madrasas dating from the period prior to the fourteenth centuries can be found in Anatolia and are from the Seljuk period. In contrast to the madrasas of the period in such ancient centres of Islamic civilization as Egypt, Palestine and Syria, which are concentrated in a few major cities, the madrasas in Anatolia are spread over a wider area. Those Anatolian madrasas, which have survived to this day, can be found in thirty-nine different cities, towns and villages. Another dozen localities can be added to this figure based on various sources. Quite naturally, the distribution is more heavily in favour of the larger cities. Of the madrasas, seven are located in the Seljuk capital of Konya where it is known that twenty-four such institutions had been established. Eleven of the thirteen madrasas known to have been constructed by the Artukids can be found in their capital, Mardin. Nine of the eleven madrasas known to have been built in Kayseri are still standing. In addition to these three major cities of the period, it is known that between four and six madrasas each were located in cities such as Sivrihisar, Aksehir, Tire, Aksaray, Erzurum, Diyarbakir and Karaman. In addition, sources reveal that between two and three madrasas were located in each of seven different localities. 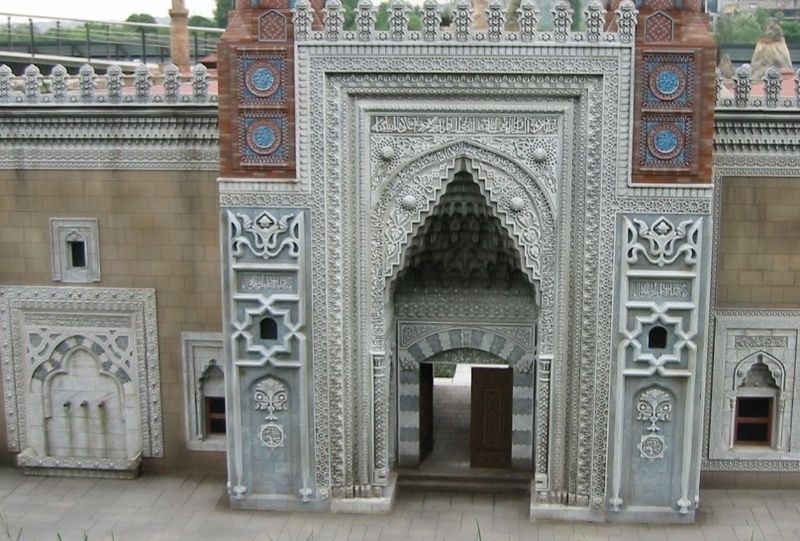 Although it is not possible to obtain an exact figure for the number of Anatolian Seljuk madrasas, according to the charters of the vakifs (religious charitable foundations) of the Cacaoglu and Karatay madrasas, for example, there were thirteen madrasas to be found during the thirteenth century in Sivas, one of the three major Seljuk cities. Figure 3. 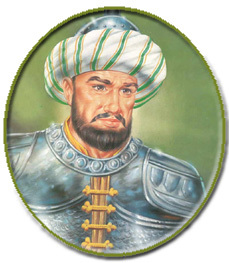 Sultan Malikshah (from www.harunyahya.org). Dervish lodges (tekkes and zâviyes) also provided important educational and training services. The civil order and increasing well-being which existed during the Seljuk period in Anatolia, the respect and patronage shown by the sultans to men of scholarship and science along with the activities of the many intellectuals, poets and specialists swept into Anatolia along with the Mongolian invasion transformed Anatolia into a new centre of Islamic culture and increased the fame of its madrasas. Because scholarly-scientific life during the Seljuk period has not been studied in a thoroughgoing and careful fashion, it is not possible to draw satisfactory conclusions about the written literature of the period. However, we do know from those studies that have been done up to the present and from information obtained that important works were written during that period. Libraries held a special place in cultural life whether they were independently established or part of a mosque complex, a hospital, a madrasa or some other institution. The fact that books could be borrowed if one put down a specified amount of money which would be given back upon the return of the book to the librarian at the Altun-Aba Madrasa is an indication of the advanced state of librarianship at the time. In addition to madrasas, the Anatolian Seljuk's also established hospitals, baths and social assistance institutions. These medieval institutions had a more autonomous structure than those in Europe and predated them. During the reign of Alâeddin Keykubâd I (1219-1237), Anatolia was a prosperous land. Hospitals of the period were built within defensive walls to protect them from possible attack. By way of example, the charter of the Sivas Dârussifâ hospital dating from 1220 provides information on the vakifs, on the staff and on the administrative organization of hospitals in Anatolia during the Seljuk period. The scientific and cultural activity found in the Turkish Municipalities which emerged in Anatolia after the fall of the Seljuk state reveal to us just how much that state had encouraged and supported such endeavours. On the one hand, these Anatolian rulers brought in scholars and scientists and greatly valued their intellectual work and debates, and on the other they constructed madrasas, libraries, soup kitchens (imaret), and guest houses, some examples of which we can still see today, in order to provide for the education of students who could benefit from their accumulation of scholarly and scientific knowledge. That is why, during the fourteenth century, one can find important scholars and scientists in the support of, and under the patronage of, every single ruler in Anatolia. Indeed, among them were those who, feeling offended in some way by their ruler would associate themselves with another ruler and then, finding themselves the object of great respect, would even begin to feign reluctance and act quite disdainfully in response to some requests of the ruler. It is for this reason that one encounters along with works on literature, history and mysticism, other works written on the subjects of medicine in particular, but also on astronomy and mathematics in the various cities of Anatolia in the fourteenth centuries. In addition to the madrasas, hospitals and social assistance institutions established in Anatolia during the Anatolian Seljuk period and that of their successors the Municipalities, scholarly-scientific and cultural activities were also encouraged and received the patronage of the rulers. The result was that one can characterize this time in pre-Ottoman Anatolia as a preparatory period on two levels: one in terms of institutions and the other with respect to the intellectual environment. The scientific and cultural accumulation, which emerged during that period, would become the patrimony of the Ottoman Empire and would be perpetuated by preserving the basic functions of the earlier endeavour. Cetin, O., Anadolu'da Islamiyetin Yayilisi, 2d ed. (Istanbul, 1990). Hillenbrand, R., "Madrasa," Enyclopeadia of Islam, Second Edition, 5: 1144-1145. Klausner, Carla L., The Seljuk Vizierate A Study Of Civil Administration 1055-1199, Cambridge: Harvard University, 1973. 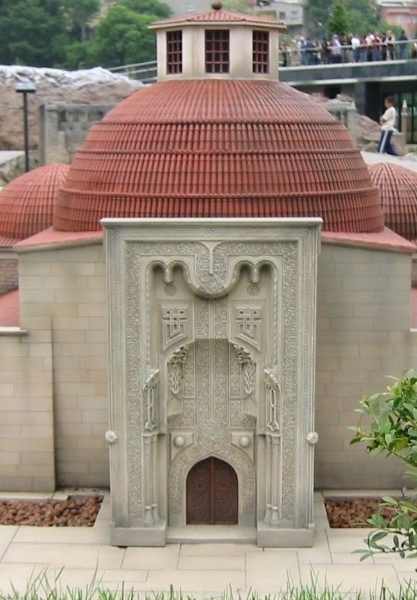 Köprülü, M. F., Türk Edebiyati Tarihi (Istanbul, 1926), 246-247. Redford, Scott, Landscape And The State In Medieval Anatolia : Seljuk Gardens And Pavilions Of Alanya Turkey, Oxford: Archaeopress Publishers of British Archaeological Report, 2000. Rice, Tamara Talbot, The Seljuks In Asia Minor, London: Thames and Hudson, 1961. Turan, O. "Selcuklu Devri Vakfiyeleri III: Celaleddin Karatay Vakiflari ve Vakfiyeleri," Belleten 12, no. 45 (1945): 17-171. Turan, O., "Selcuklu Devri Vakfiyeleri I: Semseddin Altun-Aba, Vakfiyesi ve Hayati," Belleten 11, no. 42 (1947): 202. Unver, A. S., Selcuk Tababeti (XI.-XIV. Asirlar) (Ankara, 1940), 47, 51. Uzuncarsili, I. H., Anadolu Beylikleri ve Akkoyunlu, Karakoyunlu Devletleri (Istanbul, 1937), 129-131. * Secretary General of the Organisation of the Islamic Conference. Past president of International Union of History and Philosophy of Science/Division of History of Science, (IUHPS/DHS).